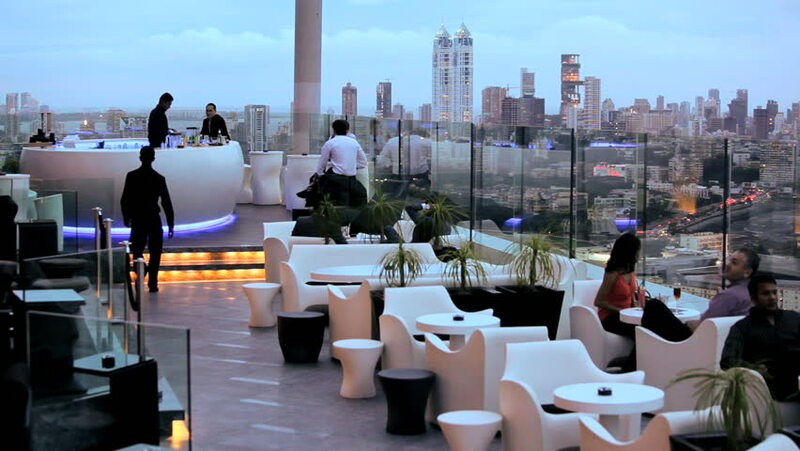 Aer lounge, sprawled on the 34th floor is a perfect place for a perfect date. Aer lounge not only specializes in Spanish, Italian, European and Lebanese cuisines, but they also have an impressive beverages collection. Time: 5:30 pm to 1:30 am. Cost: Rs. 5000 for 2 people (approx, with alcohol). Dome which is the open air lounge and roof top restaurant at the Hotel Intercontinental is all time favourite place to visit on weekends. The restaurant has a very classy ambience with good decor. You’ll love this place for the cocktails served here, and from its tempting menu ,some favourite drinks are- Sciroco and Ki Garden.if you want to taste the best cocktails and mock-tail then must visit Dome. Time: 5:00 pm to 1:00 am. Cost: Rs. 3500 for 2 people (approx, with alcohol). Sophisticated hotel rooftop with a stylish garden bar and a menu of international dishes.Awesome Ambience and very tasty food, especially their starters and Mojito makes this place a bit different.The live karaoke is another great thing about this place. Time: 7:00 pm to 1:30 am. The breeze at Breeze is no joke. It’s a lovely place to spend an afternoon and the food is decently priced. Music gets a little clubby towards the evening but is generally pretty calm. Sandwiches were pretty good and tasty!. Time: 12:00 pm to 1:00 am.